The demolition of „Trojickyj” Shopping Centre near the Olympic Stadium in Kiev, which will be the main Euro 2012 arena, took only one week. 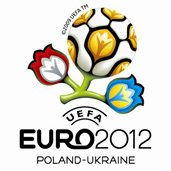 In Monday, according to lack of money, the work stopped – announced the newspaper “Sport-ekspres na Ukrainie” in Tuesday. – If the demolition of the center has been really stopped, this can finally damage all our hopes (connected with organization of Euro 2012 by Ukraine) – said the chairman of the Ukrainian Federation of Football, quoted by the newspaper, Hryhorij Surkis. He informed also, that the UEFA’s president Michel Platini, during the visit in Kiev last Thursday, had announced, that he would like to receive photos confirming the progress of “Trojickyj” demolition, once a week”. UEFA demands the liquidation of the shopping centre because of the safety of the audience during the tournament. In it’s opinion, the existence of that building could seriously complicate the evacuation. The news about the pause in the demolition of „Trojickyj” have been confirmed by Walentyn Kejbis, the representative of Kyjiwmetrobud – the firm which is responsible for work in the vicinity of the Olympic Stadium. – We have workers and equipment, but we don’t have money. Since 1st July, when the demolition has started, Kyjiwmetrobud didn’t receive any funds for it – said Kejbis for “Sport-ekspres in Ukraine”. Last Saturday, two days after Platini’s visit in Ukraine, the government of prime minister Julia Tymoszenko announced, that it gave 10 million dollars for modernization of the Olympic Stadium. This information is already 2 months old. Since than, not only the legal/finantial issues have been settled, but half of the Troitsky is already demolished. In addition, the work on the arena itself is in full steam.